On February 21st 2018, Carleton University invited applications, nominations and expressions of interest for the Allan Slaight Chair for the Study of the Conjuring Arts. 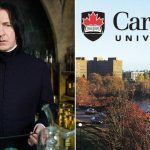 That’s right, Carleton U is looking for a magic studies professor. On March 14th, 2018 – I applied. Completely under-qualified, yet hopeful. Today I share why. Here is an excerpt from the article outlining the new chair position. You can read it in full here. A future post will reveal the details of what I sent Laverne Smith & Associates (the executive search consultants responsible for the hiring process) in detail. For now, I’d like to begin with a brief explanation, discussing why I spent about $150, and 20 hours of my time to take part in the process. Especially when I was already fairly sure I knew who Carleton would eventually hire for the role of chair. This Vice Article was shared 7k times in 10 days. I found out about the new position through social-media based word-of-mouth. I got extremely excited. 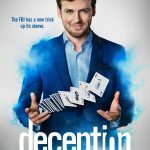 In the same week I also found out about the premiere of a show on ABC called Deception. It was a magical week! A good week for magicians everywhere. The bottom line is, anything that enters the public’s eye with a magic side to it, is great news! Magic means a lot to me. Even though I knew the position at Carleton would be offered to the same person whose name I sealed in an envelope (labeled PREDICTION) and taped outside the University President’s Office window…I applied to be that chair. Why? First, to demonstrate my gratitude let’s begin by considering my secondary education. I went to a high school in Welland, Ontario. For the first two years of my time there, a drama course wasn’t offered. At the beginning of my 3rd year there, I did some research, surveyed, petitioned, got some support, and approached my school’s new principal with a bold idea: I would help develop a Dramatic Arts program at our school. He said yes, and that’s exactly what happened. I got enough interest, worked with an assigned teacher. Developing course work, assisting in the instruction, as well as mounting a piece of devised theater at the end of the year. To emphasize, I couldn’t take Drama for the first two years of my high school life. The reasons that were cited: Lack of funding & lack of interest. I was desperate to learn more about the performance side of my craft. Meanwhile, at some of the other high schools in the region, some kids my age were probably skipping that course, calling it a bird course and getting high on the marijuana. Perception is everything. Second, the credibility that comes with the fact that this area of study now exists, in such a traditional and credible education environment is absolutely fantastic. It ties into my sense of gratitude for the Slaight Family Foundation, as well as the administrative powers that be at Carleton. For years, myself and a handful of other magicians have worked on casting magic in a new light. Personally, I have held meetings with managing committees, members and admin personnel from various educational institutions (Ontario Science Center (OSC), Niagara Catholic District School Board and Saint Andrew’s College to name a few) proposing the idea of putting magic programming into the curriculum. Offering ideas to do so in a full-time and part-time manner, even if on a trial basis. So far, nobody has taken the bait. Though I did appear at the OSC in a series of recurring workshops and shows, they decided against taking on “The Science of Perception” as a full-time exhibit. While it is sometimes disheartening to think of the amount of times I have been rejected. Worst yet, told: “That’s an incredible idea, I really like the sound of that.” Only to have absolutely no results or action come from the supposedly interested party. I do not have any contempt for the parties I mentioned above (nor for the ones I didn’t mention). I’m bringing up my previous attempts, because it is exciting to know that if I now approach someone with a similar proposal; Not only can I send them the 12 page document I sent off in my recent application for this chair position. I can also now direct them to the Carleton University website (which has a Conjuring Arts program on it). Beautiful. I’d always like to be seen as a serious player on the field. The full article on the University’s website mentions a budget for”visiting scholars, conferences, and student support”. Ultimately, I’d love to be cast as any one of those. To sum it all up, magic made some big leaps forward this year, and it’s only March of 2018. I’m excited to see what will happen next. Come back soon, because I will share the specifics of what I submitted to the University (including the full 16 Week Course Proposal), as well as a brief account of why I think taking this all so seriously, is important. For magician, and muggles alike. Teach Magic in Schools, says Professor. The Science Behind Magic: Study Reveals Psychology at Work During Card Tricks.